Every other week, beginning October 13 at Keller Hall, the Morgan County Farmers Market will host a Winter Market, featuring winter produce, handmade crafts and other items from local vendors. From 10 am to 4 pm on October 20, enjoy shopping at your own pace with a wide variety of handcrafted items as well as popular name brand vendors at MG House in Mooresville. Proceeds will benefit Peace Restored, which serves those who have been touched by abuse, trauma and grief. Bran N Shorts Coffee House in Mooresville will host their first Fall Handmade is Heartmade Marketplace on October 27, from 9 am to 2 pm. There will be additional events in Mooresville that day at other venues, so this is the perfect place to start your shopping adventure with some coffee and treats! On October 27, this fun new event space on Main Street in Mooresville will host a Fall Market featuring handmade and vintage pieces from a variety of local vendors. The market will be open from 10 am to 4 pm. The Mooresville Friends Church will host their annual Quaker Market on October 27 from 9 am to 2 pm. Join them for a fun shopping experience. Lunch will also be available onsite for only $8! November 3 is the first Saturday in November and that means it&apos;s time for the St. Martin of Tours Catholic Church Annual Holiday Bazaar and Cookie Sale! Pick up holiday decor, gift items and fresh-baked cookies by the dozen. Lunch provided on site as well. On November 10, the Martinsville First Baptist Church on Columbus Street will host their annual Craft Fair. This event is a local tradition, featuring many local craft vendors. The 2nd Annual Artie Fest Holiday Craft Fair will take place on November 10 at the Morgan County Fairgrounds. Dozens of craft vendors will be on hand, including some of your favorites from July&apos;s Artie Fest event! Proceeds benefit the festival and their scholarship fund. From 9 am to 3 pm on November 10, the Mooresville Christian Academy will host a school full of artisan booths! Admission is free, vendor products will be raffled every hour AND Santa will be available for photos from 11 am to 2 pm! On November 17, from 10 am to 4 pm, support the Northern Morgan County Christmas Assistance Program by shopping through a wide variety of vendors at their annual Holiday Bazaar. The event will be at MG House, 31 Indianapolis Road. Join this local Montessori school for their annual craft fair fundraiser featuring a variety of local artists and independent vendors. The show will be at Kellar Hall at the First Presbyterian Church in Martinsville, from 10 am to 2 pm on November 17. Each year, on Small Business Saturday, November 24 this year, the Art Sanctuary of Indiana invites local vendors and small businesses to set up in the sanctuary so shoppers can find them all in one place. You&apos;ll find locally made soaps, beautiful wooden ink pens, jewelry and so much more! 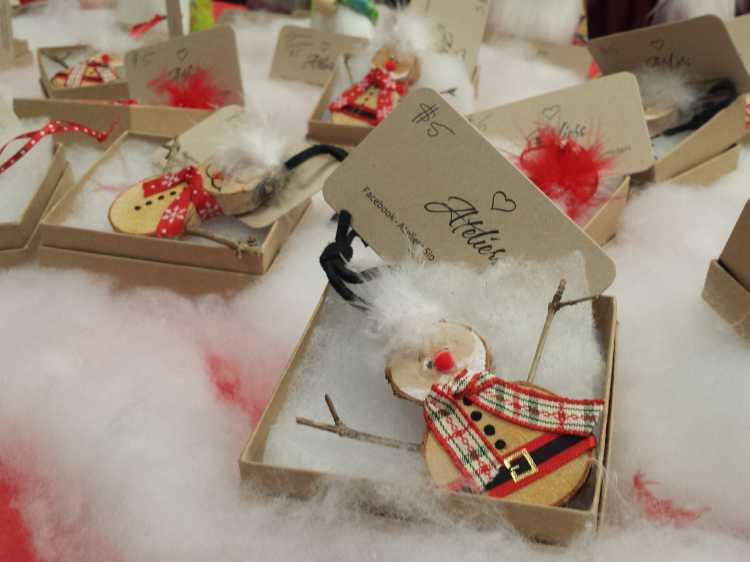 The Annual Victorian Christmas celebration on Dec. 1 in Mooresville always features lots of fun craft vendors, both in the downtown area and at the Mooresville Arts Partnership location on Indianapolis Road. Held each year during the Martinsville Cookie Stroll, the Morgan County Farmers Market Holiday Market will be on December 8 this year at Keller Hall, located at the corner of Washington and Sycamore Streets. As always, this will be a cookie stop and Santa will be on hand in the afternoon to take gift requests.